The Education (Pupil Registration) (England) Regulations state that if a child of compulsory school age, who is a registered pupil at school, fails to attend regularly and/or is persistently late at school; his/her parents/carers are guilty of an offence. In the case of illness, or unforeseen absence, parents must inform the school before 9.30am on each day of absence. If you are phoning early in the morning or Reception is busy, a message can be left on the school’s answer phone. Telephone No. 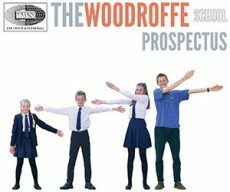 01297 442 232 or email office@woodroffe.dorset.sch.uk. If your child needs to leave the premises or will be arriving late during the day because of a medical appointment, you will need to advise the school. This can be done through a note in your child’s homework diary, a telephone call to the school (01297 442 232), or via email (office@woodroffe.dorset.sch.uk). Your child must also sign in or out using the system in place at reception. Parental notes, telephone calls or personal contact in relation to a particular absence do not necessarily mean that the school is obliged to accept the explanation or to authorise the absence where doubt remains about the explanation. Where there is no explanation for the absence, then the absence must be treated as an unauthorised absence. If an absence has not been reported, the school will make contact with the parent/carer on the day of absence. If contact by the school has not been successful, emergency numbers provided by parent/carer will be tried or a message left if necessary. If the parent/carer does not make contact with the school to explain the absence, the school may choose to unauthorise the absence. If the child’s attendance becomes a concern, which includes persistent lateness, the school will send an official letter to the parent/carer informing them of their concerns. If after this there is no improvement, a further letter will be sent requesting a meeting in school with the attendance officer where the child’s attendance will be discussed. Penalty Notices may be issued if attendance does not improve. We encourage parents not to take family holidays in term time. Dorset County Council will be supporting all schools in ensuring the law is upheld. In law, parents and carers are committing an offence if they fail to ensure their child’s regular and punctual attendance at school. Therefore, holiday absence will be unauthorised unless it meets the criteria of exceptional circumstances. Any unauthorised absences of 10 sessions or more (1 day = 2 sessions) within a 12 week period will automatically prompt school notifying the Attendance Service and you could be liable for a Penalty Notice or prosecution. Absence request forms can be obtained from main reception or can be downloaded using the below link. Please return the completed form to the school office. You will then receive written notification of the school’s decision.